From launching a new seasonal line to revamping outdated e-commerce listings, creating unique product descriptions is a massive undertaking. There are many “formulas” for writing good descriptions. This one from Big Commerce is excellent. But a formula only takes you so far when there are hundreds or thousands of short snippets that need to be created. Since Google, Amazon and your own organization frown on repetitive, boring content, how can your writing team make each description unique? 1. Distribute work the smart way. 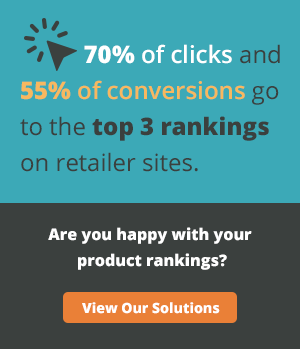 Let’s say you’re a specialty candy retailer and you want to increase organic traffic. At first glance, it makes sense to assign one writer all the chocolates and another all the lollipops. Each writer gets to have an area of expertise, familiarizing themselves with a category. However, it’s better to segment products in a more random fashion to cut down on writers’ block and redundant content. If there are twenty virtually identical products, portion them out so that each writer gets no more than five in that category. That’s about the limit for coming up with new ways to describe the same thing while maintaining momentum and avoiding burnout. 2. Go longer vs. shorter. Have writers shoot for the longer side of the allowable word count on whatever platform the items are being sold. This approach provides more room for creativity and descriptive prose, which is where good product description writers can let their talents shine. Budgeting for a slightly longer word count can result in product descriptions that are significantly better. Just watch for writers who are padding the count with fluff. That’s a sure sign that you need to source better talent. 3. Don’t put every benefit in every description. Of course, you should include the primary benefits in each product description—even if they are the same across a range of items. But the secondary benefits and features don’t all have to make the list, especially if you are pressed for space. Picking and choosing benefits to highlight for several similar products is one way to split-test which types of product descriptions increase conversions. Once you identify the most compelling benefits, you can work on creating unique ways to describe them. That’s where trick #4 comes in. 4. Break out the thesaurus. 5. Relax about stylistic differences. If you force all your writers to sound exactly alike, they will all probably start to sound bland. It’s a lot harder to get unique product descriptions when your team is trying too hard to fit into a predetermined template/format. Remember that relatively few shoppers are reading and comparing half a dozen items in your online catalog. They are browsing one or two, scanning the content (if that), and making a quick decision. If your writing team is following the same basic guidelines for brand message, buyer persona, and tone, slight differences in writing style aren’t going to raise eyebrows. 6. Use micro-stories for descriptions. Even a short product description can tell a story. And storytelling lends itself to creativity. Here’s an example for a fictional company selling an air cleaner for automobiles. “It’s a sweltering summer day. The sidewalk is so hot your shoes stick to the pavement on your way to the parking lot. But that’s not what has you worried. It’s the partially devoured tub of yogurt you accidentally left in your car this morning. It’s a good thing you have our vent-mounted air cleaning system. It’s a fresh car smell you get to enjoy every day!” Shopify has more examples (see bullet points 5 and 6 on this blog post). 7. Consider whether content is really the conversion factor. Online shoppers don’t always read product descriptions in detail (sad but true). If you sell visually oriented items that are in high demand, the design sells itself. The supporting content should be keyword-optimized, concise, and in alignment with the company’s voice. But it shouldn’t distract the reader from their purpose—adding the item to the cart. When that’s the case, writers really can focus on being unique rather than hard selling each product. Looking for a writing workforce to help you create unique product descriptions right now? OneSpace’s virtual workspace and elite network of prequalified freelancers can help you create product content at scale, eliminating the need to hire additional in-house employees. View a demo to learn how.